Demethylates proteins that have been reversibly carboxymethylated. Demethylates PPP2CB (in vitro) and PPP2CA. 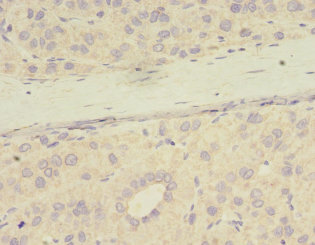 Binding to PPP2CA displaces the manganese ion and inactivates the enzyme. 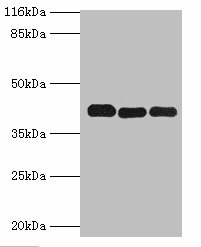 PPME1 Polyclonal Antibody. Unconjugated. Raised in: Rabbit.